Aqueos anti-microbial hand sanitising foam KILLS 99.999% of most bacteria, fungi & viruses including STRANGLES and RINGWORM. No water is required; the foam is fact acting and kills within 30 seconds of contact. Powerful but very kind to the skin. Alcohol free and environmentally friendly. Ideal to keep at yards or horseboxes. Reduces risk of cross contamination as part of general hygiene regime. 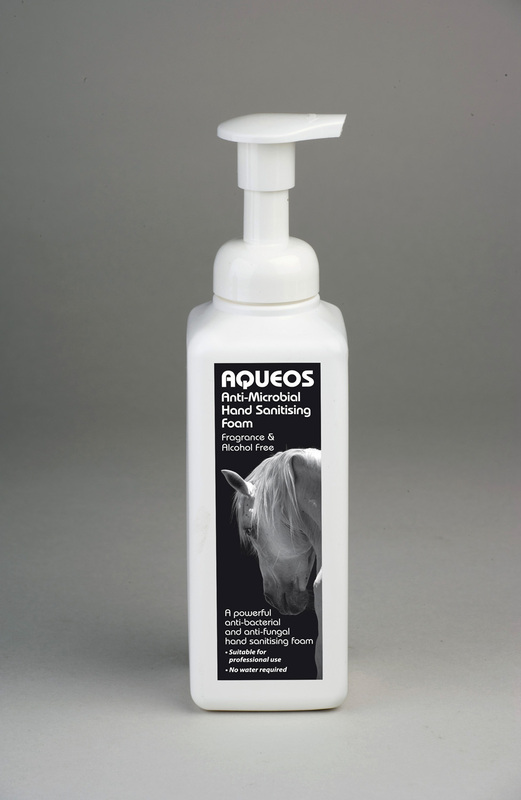 There are currently no questions for Aqueos Equine Anti-Microbial Hand Sanitising Foam - be the first to ask one!